Welcome, this site is meant to jog a few memories from our dim and distant past of Willesden. you have some interesting photographs or School Magazines - then all would be appreciated. Thanks. Howard was known as big Lou in school. He went on to become quite an accomplished actor performing in a number of well known TV shows, including 'Brush Strokes' in which he played the part of Elmo the bar tender. He died in Scotland on 20th January 2018. He was another talented Old Uff! 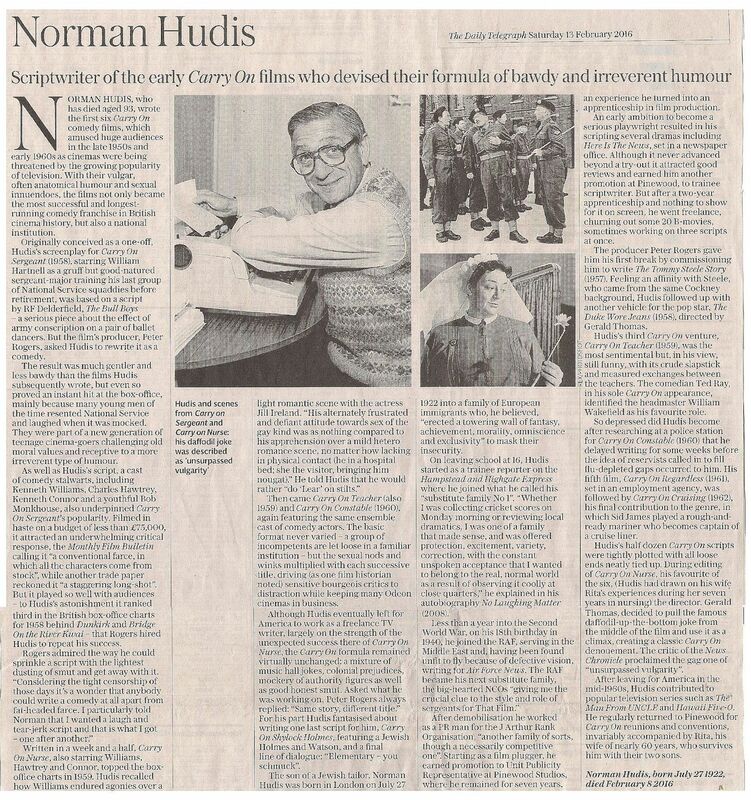 Norman Hudis, who wrote the original series of scripts for the 'Carry-On' films, died recently in California aged 93. Click on the image below for his obituary from the Daily Telegraph. Edward Samuel Higgins OBE - An Old Uffs' Centenarian! Born 22nd March 1915, a pupil at Willesden County School from 1926 to 1932. Retired in 1977 after a career in local government in London, finishing as Director of Social Services for the Borough of Wandsworth. Lives in Merton Park, Wimbledon. Click here for his email address and on the image below for details of his long life/career to-date! Dr. Philip Bliss - Received the Order of Australia Medal in the 2015 Queen's Birthday Honours list. 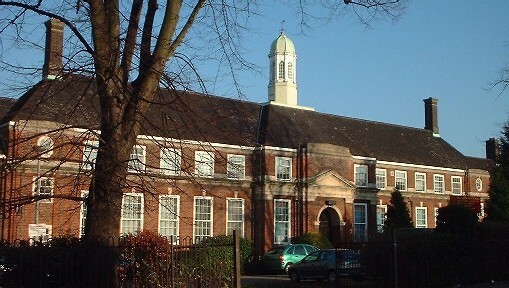 At Willesden County Grammar School from 1958 to 1965, emigrated to Melbourne, Philip received the OAM for services to the community through Jewish and Multifaith organisations. 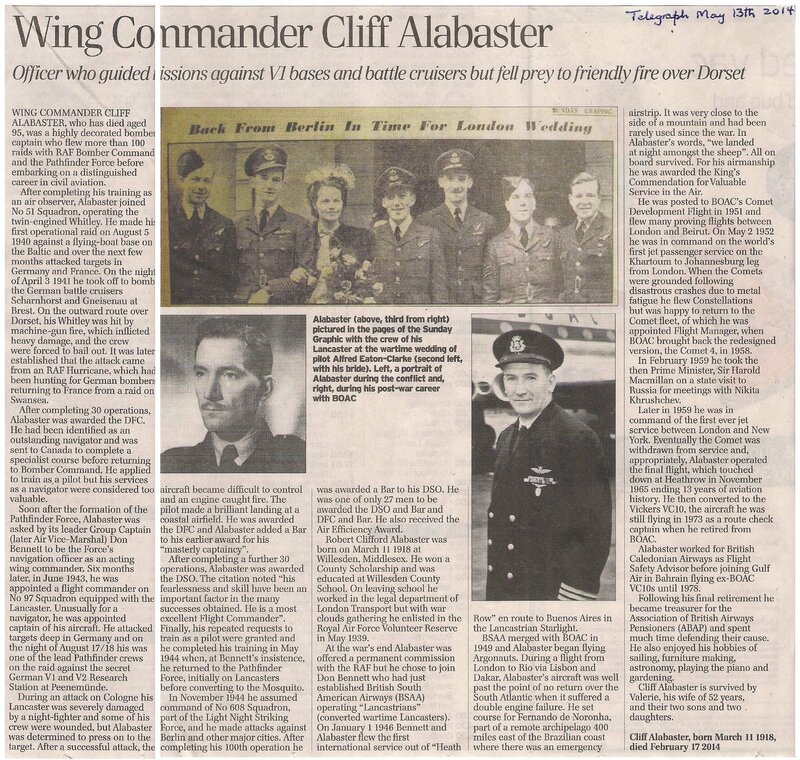 Wing Commander Cliff Alabaster - a highly decorated wartime Bomber Commander and Civil Aviation Pilot died in February this year. Click on the image below for more details of his illustrious career. Betty Alderman nee Bishop - at school in the 1940s, now in Atlanta Georgia, would like to contact her schoolmates (see Who's Who Page)! Len Homewood - any info' on Len Homewood, at school in the 1950s, do contact his son, Brian! Roy Alan Impey - at school during the 1940s, would like to hear from any Old Uff of his era! 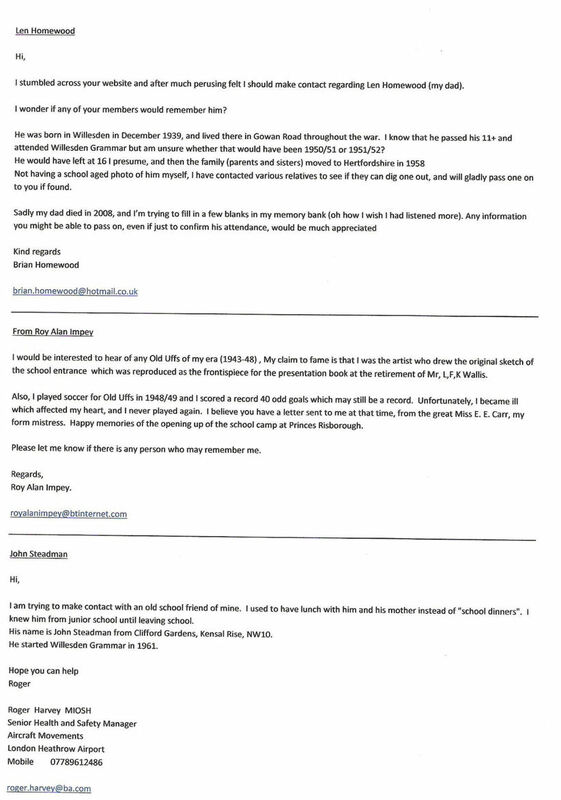 John Steadman - Roger Harvey wishes to contact John who started at The County in 1961! The Old Uffs pages have been optimised for display settings of 1024 x 768 pixels.